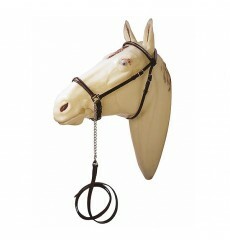 Western Bridle golden thread, WB-GS model (SL). Available in black, brown or hazel. 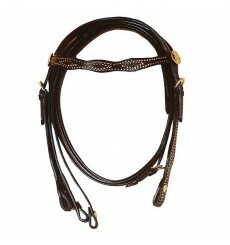 Luxury western bridle in black, brown or hazel. 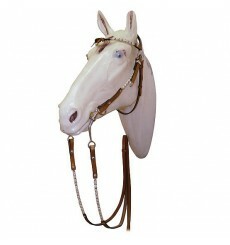 Boasts western bridle for your horse. 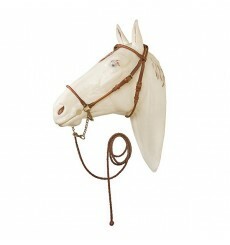 September consisting of a bridle western luxury, a breastplate and a western bit. 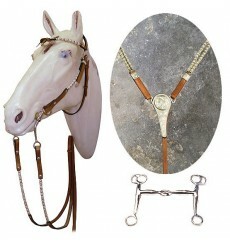 Arabian show bridle, stitched in the round. 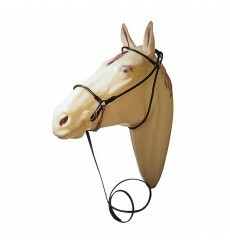 Brown bridle.